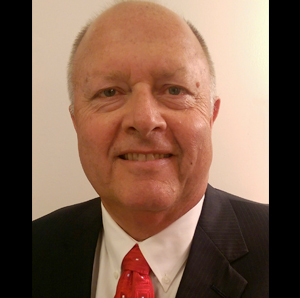 George D. Bolton is a seasoned business professional with deep experience in production agriculture. From the management of fertilizer and chemical plants, to the development and integration of a precision farming system for a national fertilizer and chemical distribution company, George has worked to develop and integrate new technologies for agriculture. Recognizing the impact carbon intensity would have on agriculture, Mr. Bolton was one of the founders of AgCert International, and co-author of the first agricultural baseline methodology approved by the United Nations Framework Convention on Climate Change (UNFCC) AM0016: Greenhouse gas mitigation from improved animal waste management systems in confined animal feeding operations. Under his direction this methodology was the catalyst which allowed AgCert International to construct over 725 biodigesters impacting more than 94% of the qualifying concentrated animal feeding operations in Mexico and Brazil. The construction and operation of these biogesters dramatically improved each farms local environment impact while also lowering their carbon intensity. The cooperation between AgCert and the local farmers enabled the use of the Clean Development Mechanism of the UNFCC to produce and market millions of certified emissions for the purchasers, as well as covering the costs of each farms biodigesters. Mr. Bolton has provided guidance on agricultural carbon intensity issues in Canada, Brazil, Mexico, Argentina, Chile, Columbia and the USA. His commitment is to assist in the development of Ag based systems which are both profitable and sustainable, while meeting the varied needs of Agricultural stakeholders. George received his Bachelor of Science in Biology from Briar Cliff University.